Celtic are on the brink of smashing their transfer record with a permanent deal for 20-year old Odsonne Edouard. The striker joined Celtic on a season-long loan from parent club Paris Saint Germain last August , and went on to make 29 appearances and score 11 goals as the club completed a second successive domestic trouble. Now The Hops are ready to make the move permanent with a £9 million offer and a 4-year deal on the table. French media outfit RMC confirmed that the player had successfully undergone a medical on Thursday, with confirmation of the transfer expected shortly. 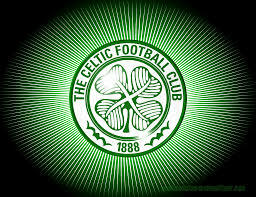 Edouard said at the end of last season “I love this club, I really love this club”, he said at the end of last season. “If the decision was up to me I’d like to stay”. Now it looks like the young striker is about to get his wish, and he will become Celtic’s second signing of the summer, after the loan of Scott Bain from Dundee was made permanent. The fee paid for Edouard will eclipse the £6 million the club paid for Chris Sutton in 2000, and John Hartson a year later.